Music sampling has come a long way since Vanilla Ice laid down some phat beats from Queen/Bowie’s Under Pressure classic, thus making him an overnight sensation. Thankfully our musical pallets have sampled enough flavors to leave Vanilla in the 80’s and evolve with more sophisticated pairings from mashup artists. You can Follow my channel if you so wish. It’s often said that those who can’t do, teach and those who can’t teach play video games. Well here’s an example of how one unique game mechanic can spin into a potential major motion picture in Hollywood. Game mechanic refers to a feature of video game play that allows the gamer to effect the virtual world they’re playing in. An example might be, whenever you press the red button on your game controller, your dragon breathes fire. OK, now that you understand the potential of “portals”, let’s look at the spin Valve Studios and director, Dan Trachtenberg took for their intellectual property. Can you say Linda Hamilton? What strikes me is that this game mechanic is a simple one and the live action short mainly takes place with one actor in a single room. One afternoon when I was 10 years old, I went to the movies with my brother-in-law to see King Kong. Before entering we noticed a movie poster behind glass showing soldiers in white uniforms and an ominous black figure with a billowing cape emerging from a smoky white hallway peppered with laser fire. After a moments reluctance, I was led into the dark theater where orchestral horns blared out from all directions and scrolling text receded into a star filled background revealing my future. Star Wars was the most important influence in my professional life. 35 years later I find myself playing with characters from a galaxy far far away in the comfort of my own computer at LucasFilm Animation. The studio is conveniently tucked away in the rolling hills of the Marin landscape. Currently the two ranches, Big Rock and Skywalker, are home to a few hundred employees that enjoy its serene lifestyle. 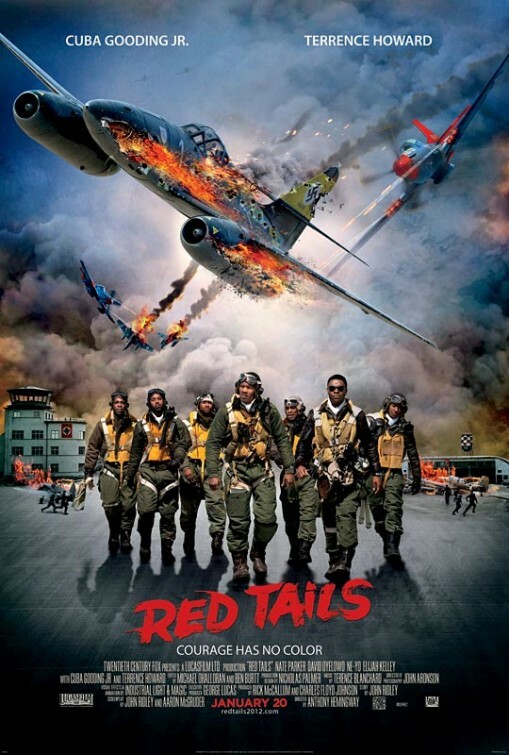 StoryLine: A crew of African American pilots in the Tuskegee training program, having faced segregation while kept mostly on the ground during World War II, are called into duty under the guidance of Col. A.J. Bullard.